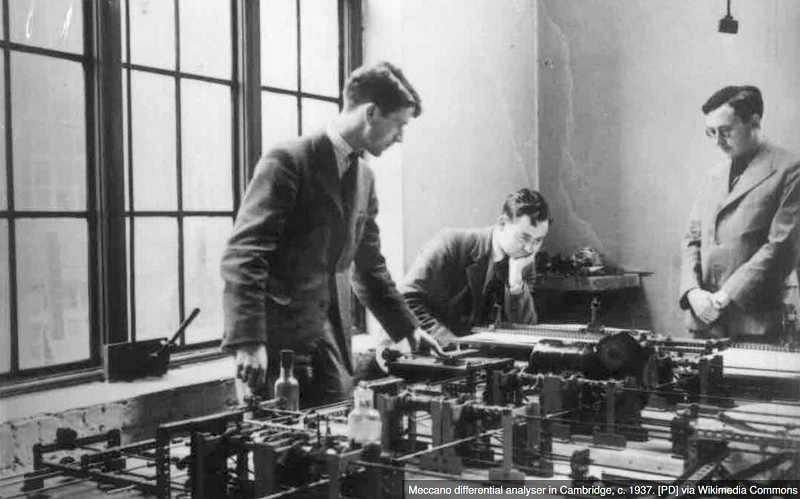 When TeXing my thesis, I encounter many small problems. Here I collect my solutions, in case I could find them without resorting to asking on Stack Overflow. 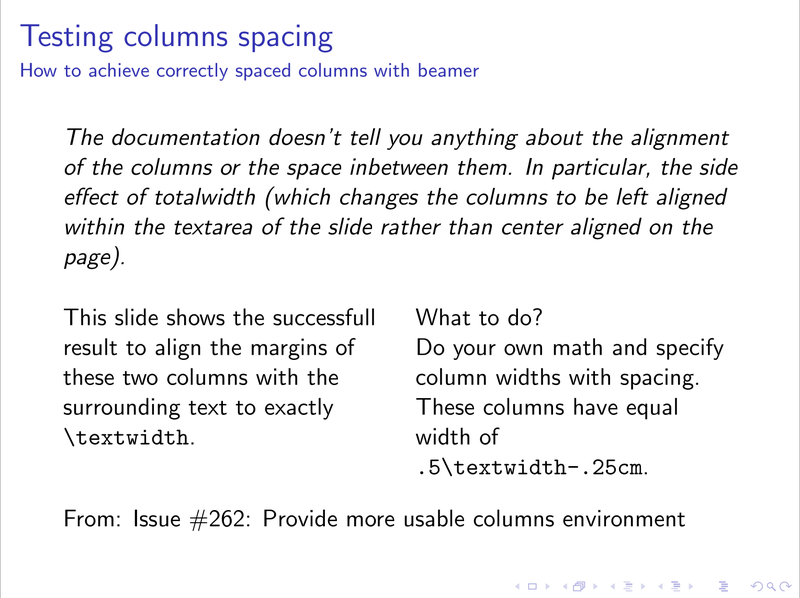 If you (like me) assumed that placing two columns width 50% of textwidth next to each other would align with preceding or following text on a beamer slide, then you are mistaken (like me). Fortunately, a discussion on Bug #262: Provide more usable columns environment showed a viable solution in form of the optional argument onlytextwidth. the alignment of the columns or the space in between them. 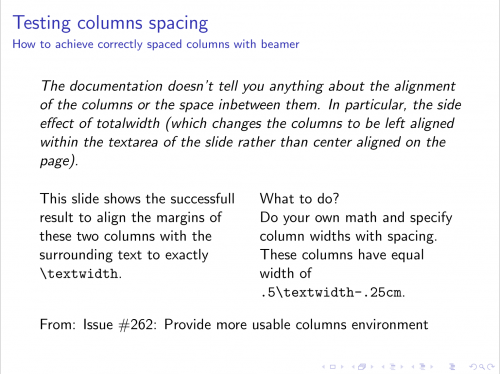 Do your own math and specify column widths with spacing. I will post short minimum working examples (MWEs) of minimal LaTeX documents, showing a certain feature in action. Though the well-maintained LaTeX Wikibook is a much more extensive resource than a collection of such examples could ever be, they show directly compilable examples compared to isolated snippets. I start simple: custom text colours, using different colour models. Shown here are RGB (0-255) and HTML (00-FF) style definitions. The text shows two different ways to access them. Bonus: these colours can be used in TikZ as well.